Get a quote from STA here. Find out if STA makes it into our list of the best travel insurance companies or our guide to the best travel insurance companiesbest backpacker cover. What types of travel insurance does STA provide? 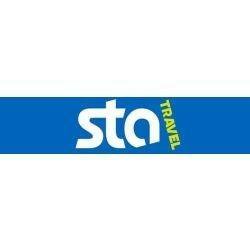 Are there any restrictions with STA travel insurance? Does STA offer travel insurance for over 65s? How much does travel insurance from STA cost? Does STA offer travel insurance cover for pre-existing medical conditions? STA offers single trip, multi-trip and backpacker travel insurance. Its travel insurance arm is part of a wider company that functions as a travel company for students and young people. The company provides information on holidays, as well as discounts and flight deals. This policy provides £1m in medical expenses cover, cancellation cover of £1,000, and personal liability of £500,000 with £25,000 in legal expenses cover. There is an excess of £100 on this policy. Standard offers £2m in medical expenses cover, £30,000 in personal accident cover, cancellation cover of £1,500, and personal liability of £1m with £25,000 in legal expenses cover. The excess on this policy is also £100. STA's most popular policy offers £10m in medical expenses cover with personal accident cover of £40,000, cancellation cover of £2,000, and personal liability of £2m with £25,000 legal expenses. Again, the excess is £100 on this policy. This is STA's most comprehensive policy. It offers £15m in medical expenses cover, £50,000 in personal accident cover, cancellation cover of £10,000, and personal liability cover of £2m with £30,000 in legal expenses. There is no excess on this policy. Each of STA's travel insurance policies except Budget includes cover for some adventure activities, including skydiving, abseiling and bungee jumping. They all also include varying levels of personal possessions cover, as well as hijack and hostage cover. Its backpacker policy allows you to travel for up to 24 months, and you can even return home for one visit if your policy lasts longer than 6 months. It also offers a number of optional extras, including winter sports cover, an excess waiver or reducing the excess, extra cover for electrical items like mobiles and tablets, increasing the cancellation cover level and adding cover for natural disasters. You can also extend your insurance while you're away, up to 24 months. There are some restrictions on both the age you can be to purchase STA travel insurance and on pre-existing conditions, both of which are discussed below. Aside from this, there are some general exclusions that apply to STA travel insurance, most of which are true of all travel insurance companies. For instance, STA will not be able to pay claims (apart from emergency medical care) arising from war, invasion, civil war, revolution, or terrorism. However, some travel insurance companies will cover you for this. Check out our article on travel insurance with terrorism cover and for dangerous areas for more information. Moreover, it won't be able to cover you if any claim is made due to the fact you were drunk or taking any illegal substances. You'll also have to be a resident of the United Kingdom, the Channel Islands, the Isle of Man or the Republic of Ireland to take out insurance from the company. And after the initial 14-day cooling off period, you won't be able to get a refund for your travel insurance policy. Remember that if you've claimed in the first 14 days, you won't be able to get a refund and you might have to pay to cancel. STA can only insure you up to the age of 65 for both single trip and annual multi-trip cover. Annoyingly, many insurers will not insure travellers over the age of 65. However, there are some that will. Check out our information on the best travel insurance for over 65s for help on this. STA says its single trip travel insurance starts from just 37p a day, and its multi-trip insurance from 22p a day. This is based on a quote for someone under the age of 35, on a Budget European single trip policy and a Premier Europe Annual Multi Trip policy. In reality, the cost of STA travel insurance will depend on a number of different factors, including where you are travelling to, how long you are travelling for, how old you are, which policy you choose and whether you choose any additional extras. For these reasons, it can be hard to make an accurate prediction of how much a travel insurance policy will cost. On top of this, although price is an important factor for many people, it shouldn't be the only thing you take into consideration when picking your travel insurance. We've written more about this in our best travel insurance article. It's also important to look at the excess levels on a travel insurance policy. A high excess on a policy with low cover limits may not offer the best value. This is because you might not be able to claim for some things if the limit is lower than the excess, or the excess may eat into a large part of the claim. Find out how much your STA policy will cost. STA says it will consider all pre-existing medical conditions on its travel insurance policies. It provides medical screening for conditions on its Standard, Premier and Premier Plus policies. If you do require cover for medical conditions, you'll have to call the insurer and check whether it will cover your illness. Remember there will often be an additional premium to pay if you do decide to do this. STA defines a pre-existing medical condition as any condition you have suffered from in the last 12 months. This means that if you have been prescribed medication, have received any treatment or attended a doctor for it, have attended a hospital or clinic, or are awaiting tests, treatment, surgery, investigations or results for it. Remember that you may be able to get travel insurance from STA even if it says it cannot insure you for a particular condition. However, you will not be able to make a claim for anything in relation to your condition. It can be difficult to get travel insurance for pre-existing medical conditions, especially things like cancer and other terminal illnesses. However, Bought By Many are keeping an eye out for deals, discounts or any developments in the travel industry that can make travel insurance for people with cancer fairer. Join our travel insurance for cancer patients group to keep up to date. On Trustpilot, STA travel insurance scores 1.7 out of 10 based on over 100 reviews. Independent financial reviewer Defaqto has awarded STA travel insurance's Blue Premier Plus and Gold Premier Plus travel insurance policies a 5 Star rating. Its Blue Premier and Gold Premier have both been given 3 Star ratings. To make a claim on STA travel insurance, you can either visit the company's claims website at www.azgatravelclaims.com, or call the company on 020 8666 9367. The company will provide you with a claims form. You'll then need to return the claims form with the documents the company specifies. This includes your journey booking invoices and travel documents that show the dates and times of your travel, original receipts for the expenses you are claiming for, and any other evidence that will support your claim. Claiming on different parts of the travel insurance policy will entail you having to provide different documents. Information for each section can be found in your policy documents. STA provides a 24-hour emergency medical service for any medical expenses claim. Get a quote for STA travel insurance. Or browse our travel insurance groups to find a deal on your travel cover. Learn about the features of travel insurance from InsureandGo and whether it's right for you.